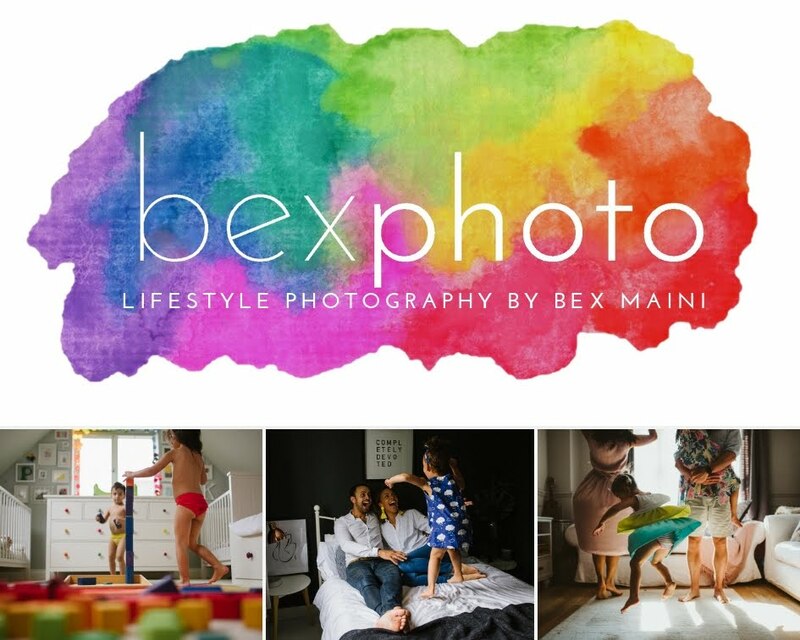 I am delighted to write a guest post for Bex at The Olive Dragonfly while she's away enjoying a fabulous holiday in Thailand... lucky thing! My blog is Make Thrift Love Life - a frugal, creative lifestyle blog about living the good life on a budget. I love the idea of #pindoit, as I have so many wonderful projects marked on Pinterest, and never get round to doing them. 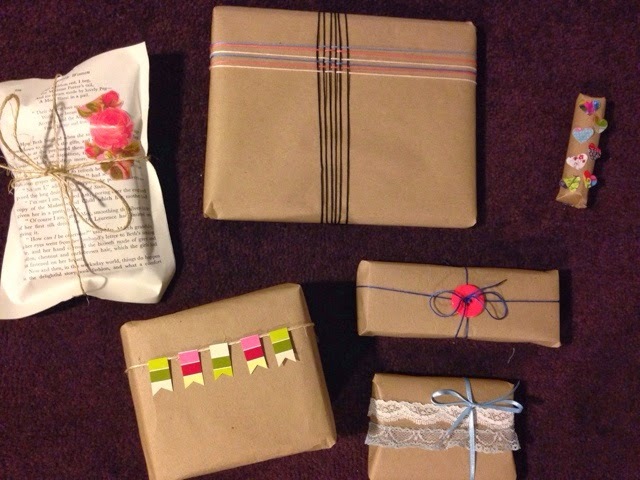 As luck would have it, this is a busy gift-giving time for me so I chose to try a series of pins on creative gift-wrapping ideas. Wrapping a gift thoughtfully can instantly add luxury, giving the "wow" factor to the smallest of presents. 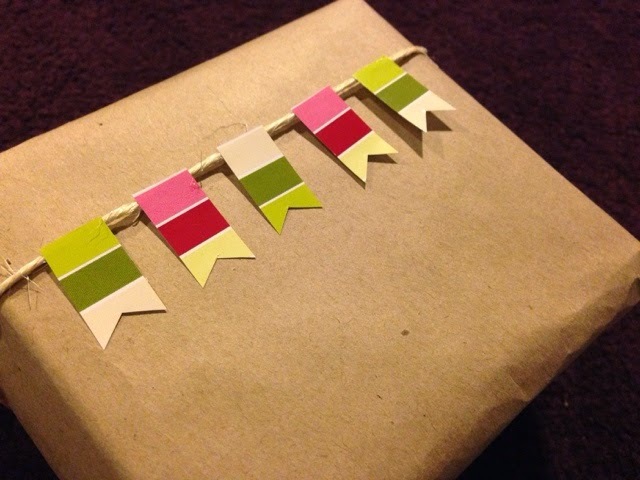 You needn't spend much money either- these wrapping methods actually cost less than buying gift bags and fancy wrapping paper. 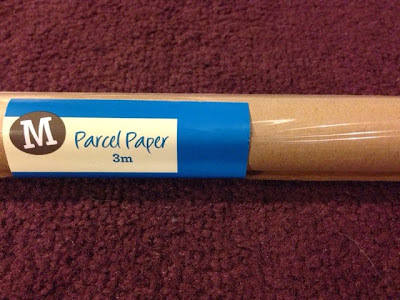 For my #pindoit projects, I used brown parcel paper, costing only 50p for 3 metres, bits and bobs from my craft stash and recycled materials. 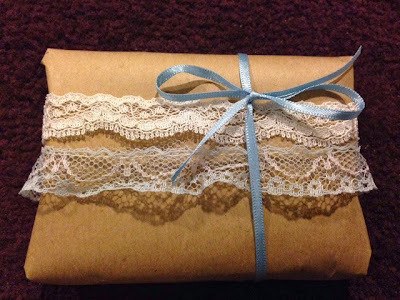 All you need for this gorgeous wrapping is a piece of twine and a few pieces of patterned paper or card. I cut these bunting flags from a label on packaging, which was otherwise being thrown away. This design is ridiculously easy, yet absolutely striking! All you need is a funky button and some embroidery thread. Thread the long side first, then the short side and tie in a bow. 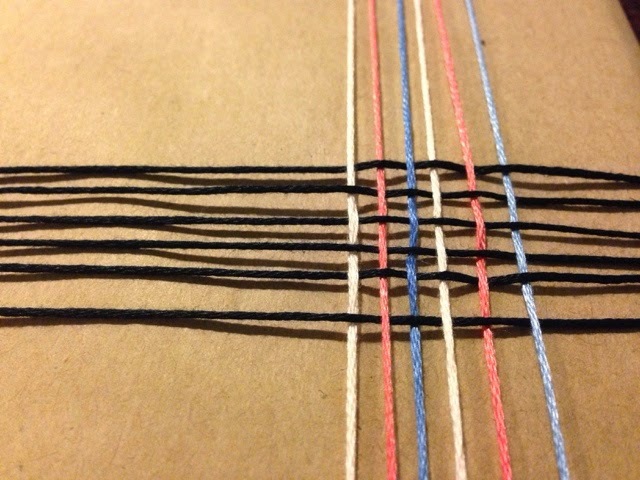 You could jazz it up even more by adding more buttons along the thread. I think I'll use this a lot! This one is actually my favourite visually, but definitely the most time-consuming. 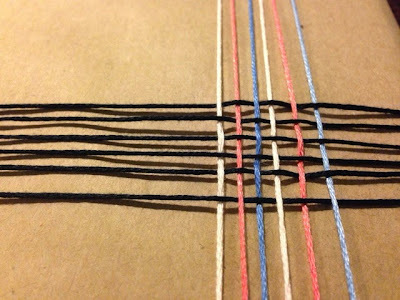 It was difficult to get the threads to line up uniformly, but doesn't it look great? I would take the time to do this for a very special gift. 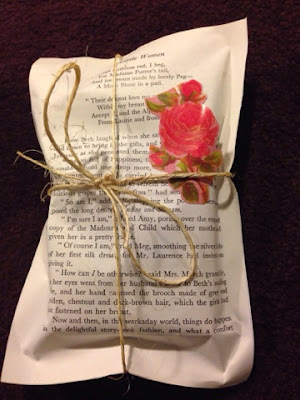 Deviating from the "brown paper" theme, I fell in love with this cute package made from book pages! I happen to have an old, scrappy copy of Little Women that I use for lots of crafts, so this cost nothing again. It was also very easy to do (I simply glued round all the edges, added a paper rose cut from wrapping paper and tied it with twine). Beautiful! 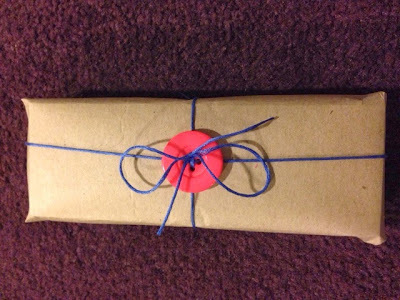 If you have scraps of haberdashery trimmings lying around, you can really dress up a parcel with them. 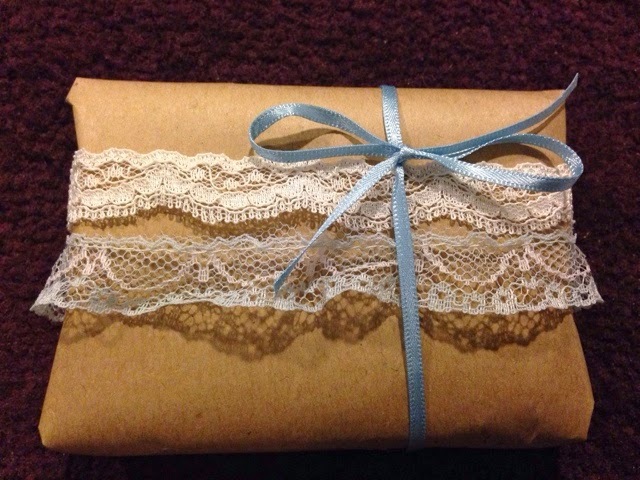 I have lots of lace offcuts as I made bridal garters for a friend to sell in her lingerie store. Tiny ribbon offcuts can be picked up very cheaply and finish off the presentation of a gift beautifully. 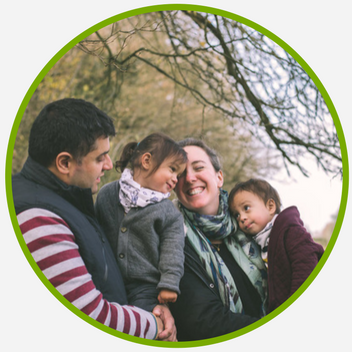 I hope you enjoyed reading my guest post, and are inspired to go and #pindoit! You can read more about my thrifty tips and crafty projects at Make Thrift Love Life, or on Bloglovin'. These are so pretty! I really like the button one - I wonder if you could adapt it for xmas with a decoration?